Update! On October 18, 2018, the Rules Review Commission approved re-adoption of Chapter 33 in accordance with N.C. Gen. Stat. §150B-21.3A . The effective date for the Rules is November 1, 2018. Necessary with substantive public interest- The agency has received public comment on the rule within the past two years or the rule affects the property interest of the regulated public, and the agency knows or suspects that any person may object to the rule. Rules designated as “necessary with substantive public interest” must be re-adopted as if they were new rules, following the permanent rulemaking process set forth in Article 2A. Necessary without substantive public interest- The agency determines that the rule is needed, and the rule has not had public comment in the last two years. Rules designated as “necessary without substantive public interest” will remain in the Code. Unnecessary - The agency determines that the rule is obsolete, redundant, or otherwise not needed. Rules designated as “unnecessary” will be removed from the Code without any further agency action. In compliance with this statute, the Midwifery Joint Committee conducted a review of Midwifery’s existing rules, made an initial determination as to the classification of each rule and approved the Initial Periodic Review Determination Report . 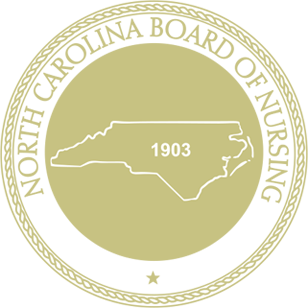 The Midwifery Joint Committee rules are located by subchapters in Title 21 of the NC Administrative Code, Chapter 33 . The public comment period for the Initial Periodic Review Determination Report ended July 31, 2017. The Midwifery Joint Committee will provide its response to each comment in the final report submitted to the Rules Review Commission. Once submitted to the Commission, the report will be posted to the Board of Nursing’s website. Questions? Contact Angela Ellis, our Rulemaking Coordinator, at Public Comment - Midwifery using the Contact Us Form.